We are excited to offer our most popular clubs, as well as some new favorites at All Around Learning Center! For your robotic engineer, join our Jr FLL and FLL (FIRST LEGO League) teams. 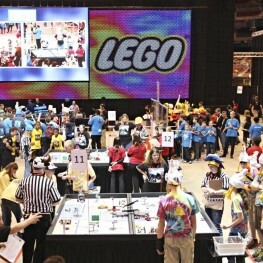 Over 25,000 teams in over 80 countries participate in the yearly event! For your computer gamer, give them the chance to make their own game in our 1st Computer Game Design for ages 6-9, Programming/Coding 1 (C++) and Programming/Coding 2 (Java) for ages 8-13. The much requested Programming/Coding 3 (Minecraft Mods) will be coming in January 2016 and 1 & 2 are prerequisites for 3. Near McClintock Dr. & Elliot Rd. © 2016 All Around Learning Center. All rights reserved.